Asansol, the second largest city in West Bengal famous for industries and coal mines has seen a revolution with its mega integrated township,The Shristinagar, Asansol.The township offers an array of premium amenities for the well being of people. The township has been smartly categorized into three- Shristinagar Asansol – The Residential , The Commercial and The Retail. Each sector has been beautifully designed. The Residential sector features 5 beautifully designed residential projects namely- Tarang Apartments, Townhouse, Triveni, Poorvi and Sangati. Each project promotes a different aesthetic value and message. While Tarang Apartments project- Premium flats, Townhouse projects- Duplex homes and Sangati projects- The Smarter Way To Live! The township also features a commercial sector with Asansol Sentrum Office Block and a retail sector with Sentrum Mall Asansol. Thus, Asansol is steadily picking up super developments with such projects and the day is not very far when it will get counted amongst top super developed cities in India. The concept of residential properties keeps changing, especially in a country like India. However, amidst all this hustle regarding the ‘perfect home’ which both has super amenities and is also affordable, your search ends at Sangati. Affordable flats are the demanding possibilities. 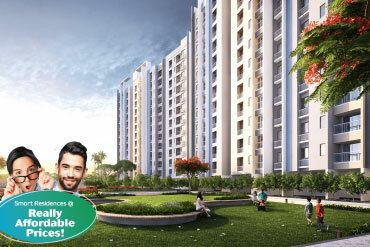 Everyone is looking for affordable flats that come with premier amenities which give the essence of modern lifestyle. Sangati is the right affordable flat in Asansol. Sangati is a dream home that offers premium amenities within an integrated township, The Shristinagar situated in Asansol. It is an affordable property in Asansol that comes in two attractive prices- 2BHK’s starting from Rs 18 lakhs and 3BHK’s starting from Rs 23 lakhs. Sangati conveys the message ‘Welcome to the smarter, connected life!’ Sangati. Sangati is a collection of three positive pillars- Unity, Harmony and Companionship. At Sangati, get unified because Sangati connects minds and hearts. It celebrates unity with friends, families, neighbors’ colleges or maybe complete strangers. Sangati is a resonation of Harmony. Sangati celebrates the journey of life. It is a perfect synchronization of moods and emotions, melody and rhythm, words and tunes! Sangati is the warmth of Companionship. At Sangati celebrate the comfort of Friendship. Sangati is the place where Unity, Harmony and Companionship meet Affordability.